Another car maker joins the Super Bowl 50 Advertisers. 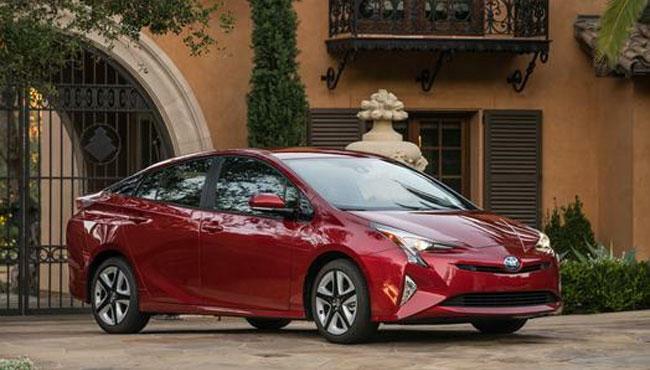 The Toyota Super Bowl 50 Ad will feature the Prius. The new Toyota Super Bowl commercial will be funny said Jack Hollis, Vice President for Marketing in an interview with the New York Times. The 60 second Toyota Super Bowl 50 ad airing in the second quarter marks the launch of the new "Comedy of Errors" campaign for Toyota's Hybrid car. The commercial will be a "joy ride" showing off features of the Prius. Hollis said that there will be no celebrity in the Toyota Super Bowl 2016 ad. Toyota used in the past celebrities including Kaley Cuoco, Amy Purdy, Muppets and Terry Crews. Toyota's Super Bowl ads have though been mostly on the humorous side. The 2016 Prius was introduced in November of 2015. It is the fourth generation Prius with 3.5 million sold cars to date. The list of Super Bowl 50 Car commercials so far includes Acura, Honda, Hyundai, Mini, Kia, Buick and Toyota. Super Bowl 50 will take place on February 7, 2016, in Santa Clara, at the Levi's Stadium. The stadium is the home of the home of the San Francisco 49ers. Super Bowl 50 will be topping all previous Super Bowl's because of the anniversary. Marketers are flocking to Super Bowl 50 and it will be a huge TV event. Find out which Super Bowl 50 Ads will be airing during the Big Game in 2016. The Super Bowl 50 Halftime Show will be performed by Coldplay. The British band is featuring Beyonce as special guest. CBS is broadcasting the Super Bowl 50. The Super Bowl 2016 game will be preceded by a weeklong series of public events held throughout the Bay Area. The Super Bowl City fan village, the NFL Experience and the Media Center will be hosted in San Francisco. The Super Bowl 50 will get a week long treatment on CBS involving specials and Late Night take overs. The Super Bowl 50 Kickoff Time is at 6:30pm ET. Read the latest Super Bowl 50 News. KFC Super Bowl 50 Ad Coming? Copyright © 2012 I4U LLC All Rights Reserved.